One look at the DR-Z70's 10-inch wheels and 22-inch seat height, and you know this is a bike with ideal dimensions for up-and-coming riders. It has performance features designed specifically for youngsters; which includes both electric and kick starting. 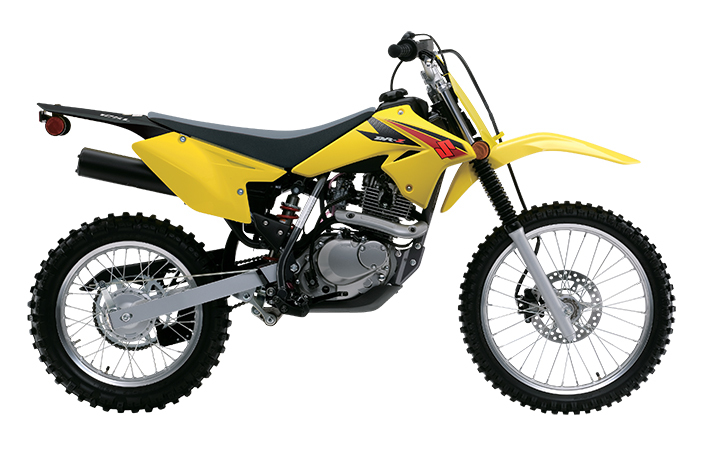 Its 67cc engine offers a smooth, controllable powerband and strong low-end torque. And, because it has a larger engine displacement than the competition, it boasts greater performance, which young riders will enjoy for years as they develop their skills. The DR-Z70 also has aggressive RM-Z-inspired styling, so young riders can imagine taking their place alongside their favorite Suzuki racer.